K-MUG (Kerala Microsoft Users Group) is pretty excited to announce DevCon2010, the Grant Developer conference in Kerala – The God’s own land. DevCon 2010 will be conducted in Park Centre, Techopark, Trivandrum, Kerala - on 3rd and 4th July, 2010. We have different sessions planned as a part of this event. A lot of excitement is there in the air, and the focus will be on Cloud computing, VS2010 Features, Robotics, Windows Phone 7, Azure, Application Compatibility, ASP.NET etc. I would be one of the speakers as well. Walk in, uplift yourself, and go back with some great energy. We’ll also launch Microsot Office 2010 during the event. We’ve got speakers including Janakiram, Vijay (msigeek), Ramaprasanna, Shobhan, Shiju, Sreeju, Praseed, Jene, Manu etc. Checkout the speakers page in DevCon 2010 website. We’ll also perform the Microsoft Office 2010 Launch during the event. 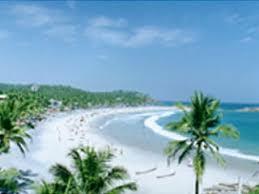 Kerala is known for it’s natural beauty, and is called God’s own land. The event is in Technopark, Trivandrum, Kerala – Technopark is the greenest IT Park in India. 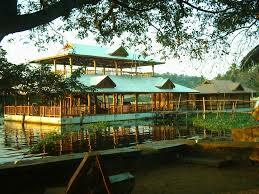 Don’t miss these places, if you are in Trivandrum. These locations are near by. 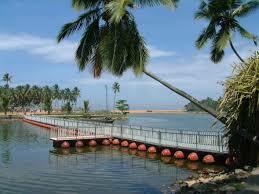 It is about 5kms from the place of DevCon event, and boating facilities are offered at this picnic spot. Speed boats, restaurants and well landscaped gardens are available. 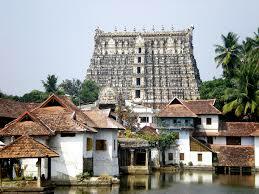 It is a magnificent temple, which featuring pure Dravidian style of architecture. The temple houses the shrine of the presiding deity of Thiruvananthapuram, Lord Vishnu and was built by the Maharaja of Travancore. Visit DevCon2010 website to take part in the cool contests, to book your seat etc. See you guys there! !.